Onions. They are known for being the veggie that makes you cry and gives you bad breath. But before you steer clear of this smelly veggie, consider that this pungent, bulbous vegetable is packed with potentially unexpected health benefits. From the pearl, to the red, to the vIdalia (a type of sweet onion), there are many varieties of onions. And some varieties are sweeter or more pungent than others. If you do a little research and taste testing, you will likely find a type of onion that agrees with your taste buds. Onions are great sauteed or roasted. They caramelize when you cook them, releasing a hint of sweetness. They are great in soups, pasta sauces, vegetable stir fries and more. So for today’s #MeatlessMonday, let’s take a closer look at onions. If you do not already follow a vegan or vegetarian diet, you may find going meat free challenging. But if you go meatless every Monday for a year (52 days total), you may reduce your risk for certain diseases, including cancer, heart disease and more. And onions can add tons of flavor to vegan and vegetarian dishes. You may find you don’t even miss meat, and here is what you may be doing for your overall health when you eat onions. Onions may help lower your cholesterol. 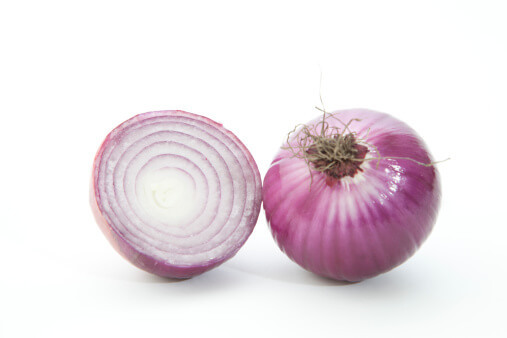 One cup of raw onions has 24 mg of phytosterols, nutrients that may have cholesterol-lowering effects. 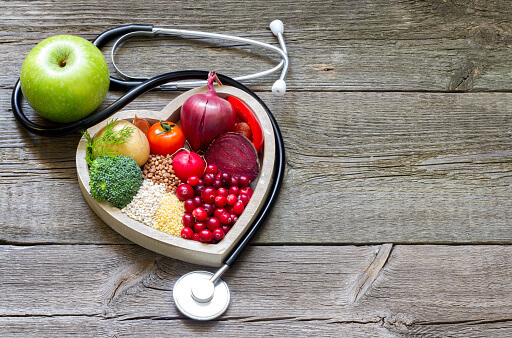 “Most animal and human studies show that phytosterols reduce serum/or plasma total cholesterol and low density lipoprotein (LDL) cholesterol levels,” reports the National Institutes for Health (NIH). Onions may help lower your blood sugar. Onions are rich in chromium, a trace mineral known for helping with the regulation of insulin levels in your blood. If you are prediabetic or diabetic, talk to your doctor about incorporating onions into your diet. Onions may help fight cancer and more. Research conducted by Cornell University food scientists found that onions, specifically pungent yellow and Northern Red onions, are high in anti-cancer chemicals. “Onions are one of the richest sources of flavonoids in the human diet," says Dr. Liu, one of the leads of the study. "And flavonoid consumption has been associated with a reduced risk of cancer, heart disease and diabetes. Flavonoids are not only anti-cancer but also are known to be anti-bacterial, anti-viral, anti-allergenic and anti-inflammatory." “Our study of 10 onion varieties and shallots [which are related to onions] clearly shows that onions and shallots have potent antioxidant and antiproliferation activities and that the more total phenolic and flavonoid content an onion has, the stronger its antioxidant activity and protective effect,” Dr. Liu says. The researchers found that certain onion varieties helped form protection specifically against liver cancer and colon cancer cells. "Although milder onions are becoming more popular, the bitter and more pungent onions seem to have more flavonoid compounds and appear to be more healthful,” Dr. Liu says. Onions may help aid digestion. Onions are a great source of prebiotic fiber. Fiber may help with digestion and relieve stomach problems, like irritable bowel syndrome (IBS). No, this does not mean you can go for onion rings. Try a soothing vegan black bean soup with onion when you are having tummy issues. Calcium, 37 mg. An adult between 19-50 years of age (male or female) in general should aim to have about 1,000 mg. of calcium per day. This mineral is needed to build and maintain strong bones and teeth. Calcium is also needed for clotting of the blood to stop bleeding and for proper functioning of the nerves, muscles and heart. The National Cancer Institute conducted a study that monitored calcium intake in 135,000 men and women. The subjects who had a calcium intake of more than 700 mg. per day had a 35-45% reduced risk of cancer of the distal (lower) part of the colon than those who had a calcium intake of 500 mg. or less per day. Magnesium, 16 mg. This must-have mineral helps with blood pressure regulation and also has antioxidant properties. Several studies have also shown an improvement in the severity of symptoms of depression when study participants were given 125-300 mg of magnesium with each meal and at bedtime. Potassium, 234 mg. There’s a surprising connection with the liver and potassium. Liver injury or infection causes patients to urinate their potassium out. When the liver heals, the potassium levels start to go back up. This has implications for people with chronic liver problems, in terms of both diet as well as use of medications, since very low potassium levels can be more dangerous than the liver problem alone. Potassium may also help keep blood pressure under control and may even help reduce kidney stones and bone loss as you age. And don’t forget...magnesium is an important cofactor in absorption. 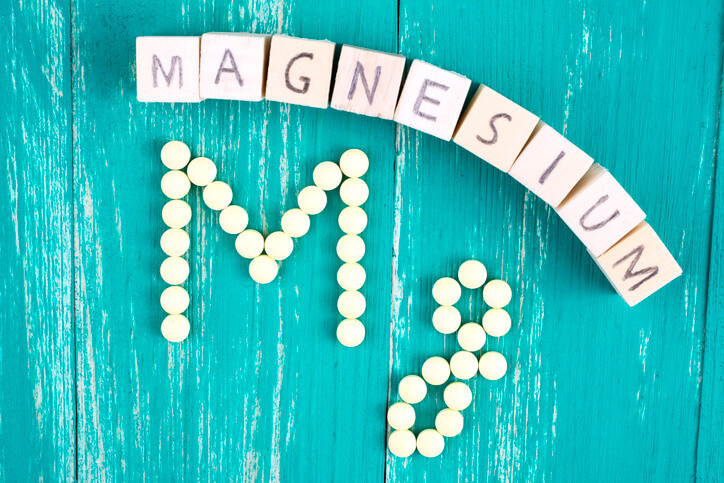 If magnesium levels are low, it affects potassium as well, causing decreased absorption and lower levels. Consider getting a nutrient level test to make sure everything is balanced in your body. Phosphorus, 46 mg. This mineral often does not get the credit it deserves, but it does so much for your body. Phosphorus is almost as abundant in your body as calcium and helps calcium build strong bones and teeth. Phosphorus is also important for how your body stores and uses energy, repairs cells and is needed to make proteins like the one responsible for the oxygen-carrying capabilities of our red blood cells. This mineral has also been linked to weight management. In a study of almost 40,000 women in Korea, phosphorus deficiency correlated with weight gain from oral contraceptives. Furthermore, a study from Lebanon showed that phosphorus supplements in a small group (63 people) for 12 weeks significantly decreased body weight, BMI, waist circumference and subjective appetite scores. Vitamin C, 11.8 mg. You likely know this vitamin is important in protecting your immune system. To check out additional benefits, particularly for older women, click here. Folate, 30 mcg. Folate (also called vitamin B9) is a very important nutrient, especially for pregnant women. Folate may help prevent cancer and heart disease and improve mental health. Choline, 9.8 mg. Choline is a nutrient that was recognized as an essential nutrient by the Institute of Medicine (IOM) in 1998. 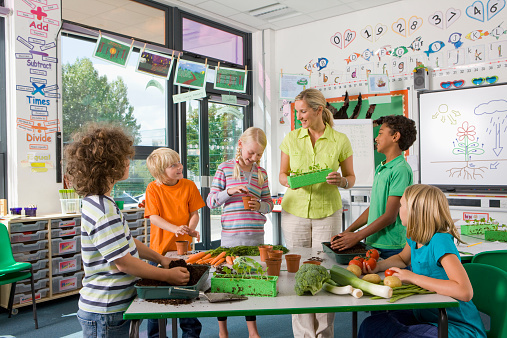 “The importance of choline in the diet extends into adulthood and old age. In a study of healthy adult subjects deprived of dietary choline, 77% of the men and 80% of the postmenopausal women developed signs of subclinical organ dysfunction (fatty liver or muscle damage)," reports the NIH. Click here for some fun, vegan recipes that include onions.